What do AVC sophomore guards, Cory Dollarhide and Charles “Scooter” Hall do after they get out of summer classes, off the track and the weight room? 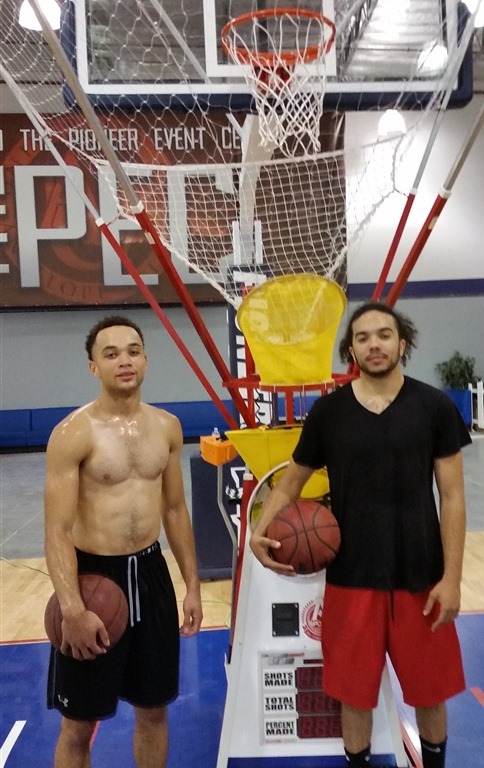 They head off to the gym and work out with the shooting machine. 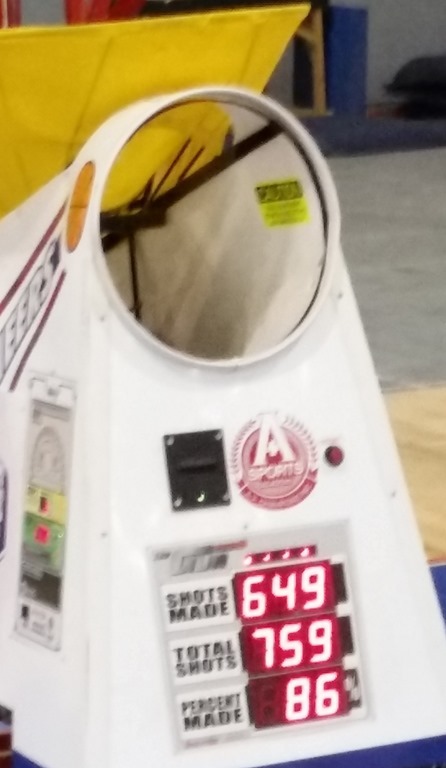 I took a photo of the stats after their first round of shooting three’s. Keep in mind there was not hand in their faces when they shot but an 86% shooting percentage wasn’t too bad. Their next 500 shoots dropped into the 70 percentage as their arms were getting a bit tired. They looked liked machines using the shooting machine. What you do during the summer leads directly into the season.